With government pledges to tackle kidnapping unlikely to be effective, strikes and demonstrations by Asian business people looks probable. Maputo, Mozambique. Photograph by F Mira. On August 26, leaders of the Islamic Community of Mozambique announced they would delay their threat of business closures following a meeting with President Armando Guebuza, opting instead for a peaceful march on September1. The Islamic Community is protesting against perceived government inaction over a recent increase in kidnappings targeted at Asian business people. However, the government’s pledge to take action to stop the kidnappings is unlikely to have an effect, with risk of violent unrest and business disruption in central Maputo as well as other cities with large Asian communities such as Nampula and Inhambane. Since early 2012, there have been at least 25 kidnappings for ransom and killings of Muslim businesspeople. On June 6, the owner of an exchange office in Maputo was shot and killed by unknown gunmen using an AK-47. 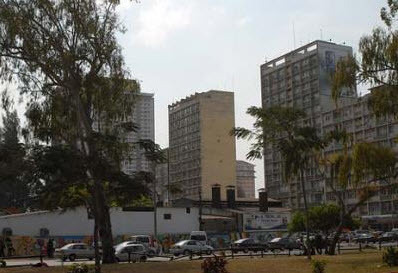 On July 27, another businessman was kidnapped by armed men on Maputo’s Avenida Ho Chi-Minh. The Muslim, Ismaili and Hindu communities, many of which are of Asian origin, claim that the criminals benefit from the protection of a largely corrupt police force. In response, the Islamic Community has threatened to stage peaceful demonstrations and close shops. The roughly 40,000 Asian Mozambicans have a disproportionately strong economic influence. Closure of their businesses would be likely to cause food and cash shortages since Asians own many bakeries, shopping malls, and pharmacies, as well as exchange offices and import companies. They have also threatened electoral boycotts. While these are unlikely in the one-month outlook, protests, business closures and boycotts are likely in the three-month outlook if, as is expected, the anti-kidnapping measures prove ineffective. While demonstrations by Asians are likely to be mostly peaceful, any business closures would be likely to anger non-Muslims affected by the resulting food and cash shortages especially given existing resentment of Asian business success. Inflammatory rhetoric by the ruling party is also likely to exacerbate the situation with inter-communal violence turning into riots with a high risk of damage to property belonging to Asian-owned businesses and individuals caught up in the violence. Violence between Asian and non-Asian Mozambicans would be likely in Maputo (mainly central Baixa), Nampula and Inhambane. The police response to any violence against Asians is also likely to raise collateral risks to property and individuals in these cities. Next Next post:Sexual Violence in the DRC: What Good is the Dodd-Frank Act?